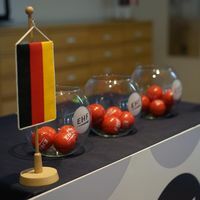 15 have embarked on the road to the Women's World Championship 2017 in Germany when the draw for the first qualication phase took place in Vienna on Friday. They were drawn to three groups of four teams each and to one group of three teams. The first two teams from Groups 1 to 3 and the top ranked team from Group 4 qualify for the play-offs which will be played in June next year.